I’m sure lots of you have been seeing these masks floating around the blogosphere for a little while now, but they were some really exciting releases from The Body Shop last month. I wish I could have got my hands on all of them to try but at £15 each, my budget only allowed me to settle with one. 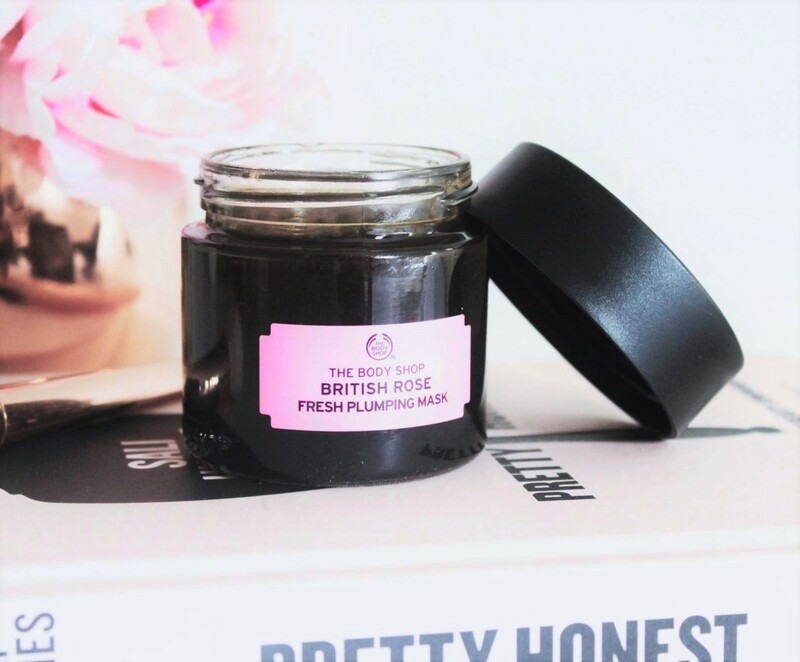 I chose the British Rose Fresh Plumping Mask because it sounded incredibly hydrating which is exactly what my dry skin needs. It claims to replenish the skins moisture and visibly smooth to give a youthful dewy appearance to the skin, so of course, that sold it. You get 75ml in the jar which is quite average for a face mask- it will definitely last a while. I like using it once a week to give my skin a refresh and to help keep it smooth. As the name suggests, it smells like a pot of roses. Rose scent isn’t usually my thing but this doesn’t seem to bother me at all because it just smells so fresh – there’s nothing artificial about it at all. The formula is gel based so it’s very light and easy to use – not thick and hard to wash off as clay masks are. I love applying it with an old makeup brush so the application stays smooth and the mask stays fresh. I then wash it off in the shower and my skin feels very supple and hydrated, like it’s had a huge drink of water. Also, the mask is 100% vegan, so that’s an added bonus for some. I think it’s quite obvious by now but I really love this mask, and I definitely want to try some of the other ones that The Body Shop have released. The Ethiopian Honey Deep Nourishing Mask looks really promising – let me know if you’d like a review on that one too! Have you tried any of The Body Shop Superfood Masks?